The government will form a committee to guide foreign investors about the changes in tax treaty with Mauritius while banker Uday Kotak has backed RBI governor Raghuram Rajan. Also, PE firm KKR and Tata Steel are said to be among those interested in acquiring Essar Steel. Read more on the main stories from the country’s top newspapers here. 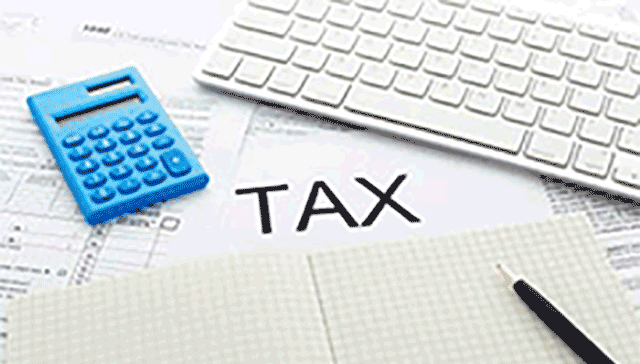 The finance ministry will form an expert committee to work out the modalities to implement changes in the recently amended tax treaty with Mauritius. The panel will “bring together all the stakeholders—accounting firms, custodians, investment managers, tax authorities—who can work through all the details to make sure that all of this is done in a smooth and efficient manner,” Jayant Sinha, minister of state for finance, told the Mint in an interview. The committee will help pre-empt any potential confusion and also assuage foreign investors who are facing twin changes in the tax regime. From April 2017, the Indian government will withdraw the capital gains benefits under the India-Mauritius tax treaty and implement general anti-avoidance rules. The government is looking to make the National Company Law Tribunal (NCLT) and National Company Law Appellate Tribunal (NCLAT) operational with a view to implement the new bankruptcy law by the end of 2016-17, Jayant Sinha, minister of state for finance, told the Mint in an interview. The new bankruptcy law proposes to use the infrastructure of NCLTs and debt recovery tribunal to address corporate insolvency and individual insolvency, respectively. While NCLTs are yet to begin operations, DRTs are already functioning. 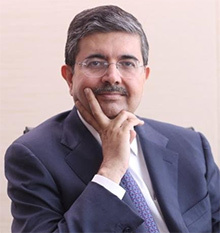 Uday Kotak, executive vice chairman of Kotak Mahindra Bank Ltd, India's second most valuable private-sector lender, has asked the central government to keep the politics out of the Reserve Bank of India and keep it as an independent body. "The RBI (governor's) position should be apolitical fundamentally... One of the things that has served India well is an independent RBI. We have to keep politics out and keep RBI independent,” Kotak told The Economic Times in an interview. Kotak’s comments come after BJP MP Subramanian Swamy made strident calls against a second term for central bank governor Raghuram Rajan and accused him of wrecking the economy. 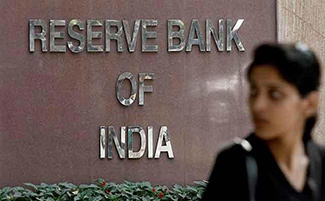 The Reserve Bank of India is looking to come up with some customer-friendly proposals, including a proposal to put a ceiling on customer liability in online frauds and also imposing "severe" penalties on banks for mis-selling third-party products such as insurance. RBI deputy government SS Mudra announced these proposals while speaking at an event organised by the Banking Codes and Standard Board of India, according to a report in The Times of India. With the rise in online transactions, complaints regarding electronic banking have also increased related to unauthorised fund transfers and fraudulent withdrawals from ATMs using duplicate cards. “The RBI is examining whether to issue regulatory direction with regard to reducing the liability of the customers on fraudulent transactions arising out of card and electronic banking transactions," Mudra said. Indian steel producers Tata Steel Ltd and JSW Steel Ltd, private equity major KKR and Hong Kong-based special situations fund SSG Capital are among the eight bidders that have expressed interest for the debt takeover of Essar Steel Ltd.
Four other prospective bidders have collected Information Memorandum for the sale process, which is being jointly managed by SBI Caps and ICICI securities, The Financial Express reported citing sources. Essar Steel owes Rs 30,000 crore to the banks, which is expected to result in over 51% stake in the company on equity conversion through the strategic debt restructuring route. The initial deadline to submit the non-binding bids was May 15 but it has been extended to June-end, the report said. Axis Bank, India’s third-largest private-sector bank, is looking to mobilise at least $500 million through green bonds from the overseas market. This would be the first such issue by any private-sector lender. It would be the fifth issuer of green bonds ever since YES Bank issued the first such bond in February 2015 to raise Rs 1,000 crore. Other lenders that have raised green bonds include IDBI Bank and Exim Bank. 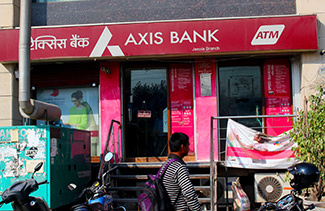 The initial pricing guidance for the Axis Bank issue is 175 basis points over the US Treasury note, the Mint reported citing people close to the development.